The other day, my husband said some things that I found hurtful. My first instinct was to emotionally withdraw from him…but that’s a dysfunctional behavior I’m trying to end. So, I started to tell him what I really thought about his comments! Thank God, the Holy Spirit gently stopped me. You see, sometimes God wants us to confront someone who is sinning against us or doing something wrong. But other times, God wants us to step back and allow His Holy Spirit to do the convicting in that other person’s heart, especially if that person is a believer. In John 16:7-8, Jesus tells his disciples, “I tell you the truth: it is to your advantage that I go away, for if I do not go away, the Helper will not come to you. But if I go, I will send him to you. And when he comes, he will convict the world concerning sin and righteousness and judgment” Jesus was talking about the Holy Spirit, and he explained that one of the Spirit’s jobs is to convict people of sin. What I’m learning is that I need to pause and consult God when someone is doing something that wounds me or bothers me. I need to ask God for direction. Does God want me to respectfully and lovingly confront that person, or does God want me to step back and allow His Holy Spirit to do the confronting. Back to my story. 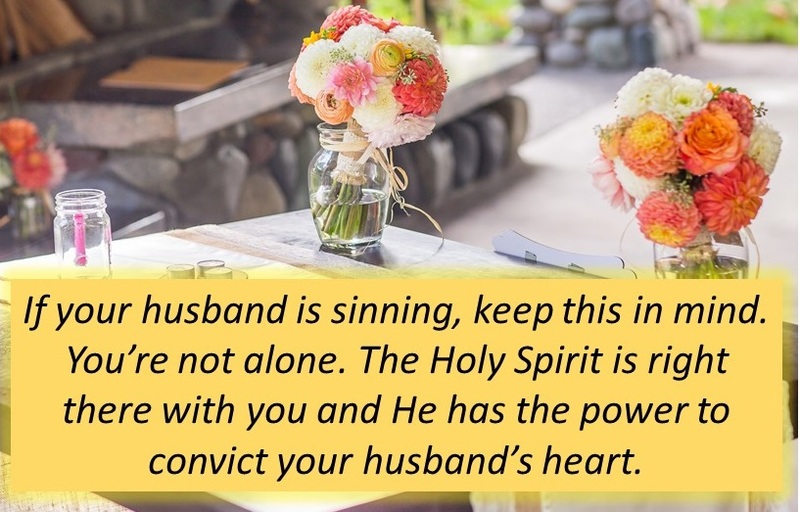 When God stopped me from laying into my husband the other day and I decided to leave the “confrontation” up to the Holy Spirit…my husband actually came to me and apologized within a few hours. Today’s question for you: Do you pause long enough to get guidance from God before reacting?